Point Grey is one of the most sought after neighbourhoods in beautiful Vancouver, B.C. Point Grey has three times the average green space per person in lower mainland of Vancouver. Point Grey is has a unique mix of residents and the pride of ownership and community are distinctly reflected throughout this Vancouver Westside neighborhood. The early zoning bylaw prevented the development of anything except detached homes and their related outbuildings. In recent years, zoning bylaws have changed, allowing other residential dwellings to be build. But, the majority of dwellings in Point Grey are still single-family detached homes. Home prices for single family detached homes in Point Grey are in the upper range over $2.0 million. View million dollar homes for sale in Point Grey. 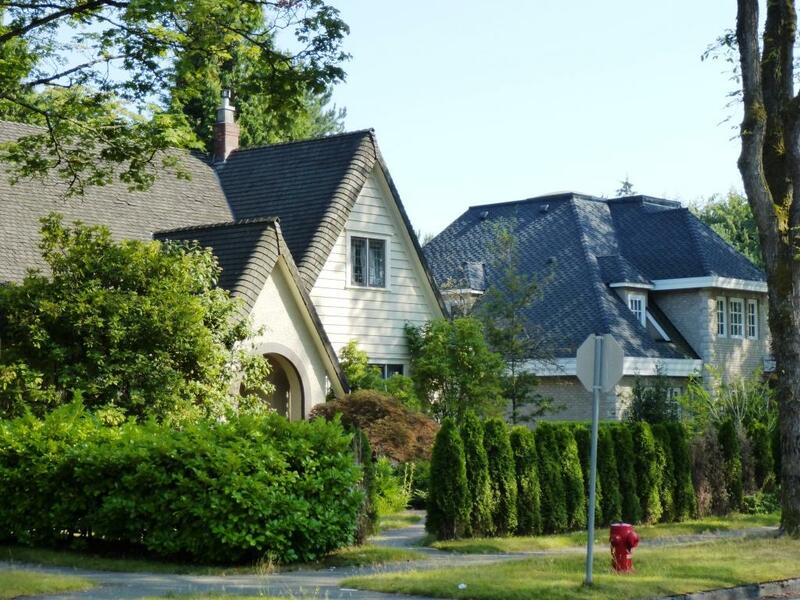 The neighborhood of Point Grey is consisted of mostly single-family homes. Some of the renounced schools in the area include Queen Elizabeth Elementary, Jules Quesnel Elementary (Queen Mary Elementary). The sought after secondary schools in Point Grey include Lord Byng Secondary school, University Hill Secondary just a few blocks away, West Point Grey Academy. For residents seeking a private/independent school alternative, Our Lady of Perpetual Help is a good choice for Point Grey resident. Point Grey is also closely associated with the world renounced University of British Columbia where thousands of undergraduate, post-graduate and research students pursue unparalleled educational opportunities. Point Grey is bordered by NW Marine Drive to the north, Alma Street to the east, Blanca to the West and 16th Avenue to the south. With a north facing topography, Point Grey offers spectacular views of the ocean, city and the North Shore. The scenic ocean front parks at Locarno Beach, Jericho Park and Spanish Banks, are all accessible, north of 4th Avenue. Point Grey is a year-round destination for local residents, nature lovers and visitors from the lower mainland and overseas. The waterfront beaches and park at Jericho, Spanish Banks and Locarno are favourite spots for walking, picnicking, sunbathing, biking, sailing and more. Point Grey waterfront offers marine activities by the Jericho Sailing Club and the Royal Vancouver Yacht Club. The Jericho Tennis Club offers recreational facility on the waterfront and the Brock House, a restaurant set in manicured gardens are popular with local residents who come to enjoy the fabulous meals in an elegance surrounding. Shopping at Point Grey is centered around intersection of 10th and Alma with shops offering a mix of antique and collectibles shops interspersed with coffee bars and small restaurants. Farther up 10th Avenue between Discovery Street and Tolmie STreet, (one of the main routes to UBC) a good mix of retail shopping, coffee bars, restaurants, grocery stores and upscale fashion boutiques.